California is burning, or a respectable fraction of it is. This is not terribly unusual, nor any immediate cause for alarm - unless, of course, you live in the path of a fire, which we happily do not. (The nearest fires are some 100 km away.) As in much of western North America, wildfire is a necessary part of the California brushland ecosystem; some seeds will not germinate until burst by the heat of a fire. Indeed, our worst fires are often due to having put out too many fires in decades past. Nothing makes for a really impressive wildfire like a canyon full of chaparral that has gone unburned for a hundred years, when left to itself the brush would have been been thinned out by half a dozen fires over the decades. California's worst fires usually come later in the season - sometimes, with nature's cruelty, just a week or two before the first fall storms, which then bring only mudslides and flash flooding. Such is life in earthly paradise. This fire season is notable, so far, only for coming early, in June and July, thanks to little spring rain and a spell of unseasonably hot weather. Fluky weather happens, and it used to be merely fluky - a rare but ultimately 'normal' variation in the usual weather patterns. Now, however, every hot spell or strong hurricane raises a lurking question in our collective mind: Is this a harbinger of global warming? Strictly speaking no such correlation is possible. Global warming (or, to be more precise, 'global climate change') did not cause Katrina, or the latest California heat wave. The most we can say is that if you heat up the planet, tropical oceans will spawn more storms, and California will get more heat waves. Nevertheless it is impossible not to wonder if weather patterns that were unusual in the past will be the new usual. Or, indeed, if 'usual' is a meaningful term for a planet that may be shifting from one climatic regime to another. This is not a screed about global warming. The evidence for anthropogenic climate change is fairly decisive, but I have only casual knowledge of the relevant disciplines, and life on the frontiers of science is far more complex than the media and political worlds care to admit. One thing the global warming issue should put to rest, however, is any doubt concerning the value of space exploration. Before global warming was a policy imperative, or even a political debate, it was a research problem in planetary science. In the old rocketpunk days, there was a standard scene involving first-time space travellers. After main engines shutdown the passengers unstrap, flail their way through the cabin to the nearest viewport - and, invariable, look first not toward wherever they are going, but back at the Earth they have just left. We as a civilization have done exactly that, and have duly discovered that Earth really is a planet. If you doubt this, just look at any portrayal of the Earth, as seen from space, before we actually went there and looked at it. In old movies and book illustrations the Earth resembles a globe - continents and oceans, with a few puffy decorative clouds as a nod to the atmosphere. Real Earth does not look like that. It is deep blue and white, in sworling patterns, with the land surface surprisingly inconspicuous - most often a stretch of tan desert. If you spend long enough in high orbit, from time to time you'll get a picture perfect view of the whole Indian subcontinent, or some other striking visual feature, but rarely if ever will it look like a globe. It is a cliché - but a profoundly important one - that the most important astronomical body we have discovered by going into space is Earth. This is one of the many things Arthur C. Clarke got right, though perhaps not in a way even he would have imagined. On a scientific level we could not understand Earth's atmosphere till we compared it to other planetary atmospheres. On a human level the most significant image of the 20th century may be the iconic view of Earth above a moonscape. No graduate degree is needed to grasp the contrast between Earth and its orbital companion. 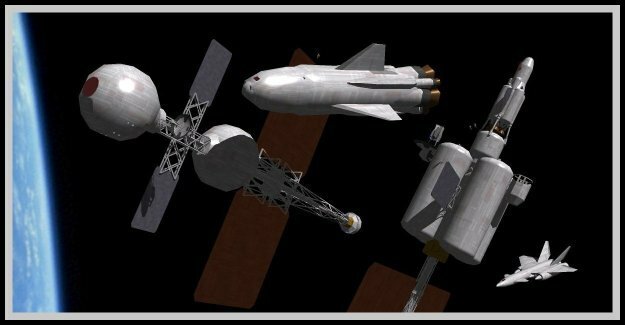 If you are reading this blog, probably none of this is news to you, and you probably don't need to be persuaded that space exploration is worthwhile. But in the geocentric world of politics and public policy, it is something that we need to keep beating over the heads of our decision makers. We may or may not find directly remunerative things to do in space in this century or the next, but space exploration has already paid for itself, many times over. Housekeeping note: Following a jailhouse interview, Philonikos the Sophist was last seen going into a swanky Ares Hill dinner party. Since Socrates the son of Xanthippus did not show up, Philonikos will find himself the worst-dressed person present. Much more alarming, he is already 4000 words in, and the important murder hasn't even taken place yet. Which means that a short story is pretty well out of the question. Novels happen. What can you do about it? Sometimes you just need to restate the obvious; you never know, you might come up with something that sparks the imagination. As far as your Athenian gumshoe: "... novels happen" is too true! And a certain redhead taps her royal foot. Ferrell - especially you need to restate the obvious when policymakers seem clueless about it. Does anyone but space junkies even know that our knowledge of global warming comes mainly from planetary exploration and observations of the Earth from space? Anita - And a certain redhead taps her royal foot. Well, instead of tapping her foot, she needs to get out on her New York street corner on an editor's desk, and shake her bootie a bit! Sometimes I think that our political types just use popular issues to advance their own careers. But then, I'm a bit cynical about American politicians. I'm sure that they all aren't that clueless; but some of them may just be that opportunistic. More's the pity. Weren't some of the Cornelii redheads? (Sulla the Dictator comes to mind). Has your original royal redhead got competition? Ferrell - a certain amount of political cynicism is always in order, but can be easily overstated. By and large pols tend to be sincere - sometimes far too sincere! - about the things that matter to them. Where they most often show sheer opportunism is on issues that matter to groups of their supporters, but not to them. When it comes to space, most of them are simply clueless, because like most people they live in a pre-Copernican mental universe. I'm tempted to say that few people 'get' space unless they grew up reading science fiction. Embarrassing as it is to say, I suspect that Newt Gingrich is the only major US politician who knows a thing about it - the guy may be a megalomaniac, but at least he read SF. I've given semi-serious thought to starting a Democratic-oriented space policy blog, because whoever wins in November, space policy will be defined several tiers down, and is thus relatively open to being influenced by anyone who can frame it in an appealing way to clueless policymakers. Carla - I didn't know about Sulla. (And what a horrid reference point - he always sounded like a bad lot, even for late republican Rome.) But Kalli is not a redhead; I'm not going to look for more trouble from my characters than I've already got! Well, Al Gore has been warning us about climate change for some time now. Plus, he was instrumental in getting the world wide net open to the public. Not all politicians are benighted fools. Given the Celts in their heyday were all over the northern Med, conquerors and traders being what they are, blond and redheaded souvenirs happened. Rick- That sounds like a great idea! I usually don't talk about politics because I tend to get too worked up about it and start foaming at the mouth while snarling. However, if I can give myself some time to sit back, think about it, and write something I can edit before I post it, then I tend to be much more articulate. o, count me in! Anita- Personally, I'd take anything Al Gore said with a (large) grain of salt. But, that's just my opinion. Gore's a politician; he'll chat up the audience. Always a good idea to bring your crap detector. However, the net legislation is one of those quiet revolutionary breakthroughs that will take at least a couple of generations to make its full impact. I'd rank it with Lincoln's land grant college legislation. Ferrell - what Anita said. For all the grotesque grief that Gore took over 'inventing the Internet' (file under Our Incredibly Lazy Media), in terms of the legal and institutional framework, Gore pretty much did exactly that. Without his efforts, very likely the Internet and Web as we know them now would never have existed, only proprietory services like Compuserve and AOL, which would have never achieved a tenth of the potential. The nearest historical comparison is now more or less forgotten - the development of universal public mail service. There is a reason why Postmaster General was one of the first cabinet positions. The ability to mail a letter to more or less anywhere and have it delivered was a revolution in communications. My only small grump with Gore is that I wish he'd say more about the role of space exploration in discovering Earth. Anita - yep, blond and redheaded people happened. My Armenian-American mother in law had a form of glaucoma mostly seen in people of Scandinavian descent. Varangian Guards? Crusaders? Earlier/later? Who knows! I just know I don't want to get in the middle of a tussle between my own redheads. Kalli may be light brown/dark blonde, causing her to be nicknamed Xanthe before she picked a proper Greek name for herself. A very odd fact is that pretty much all of the color words, even in Romance languages, are from Germanic roots. For whatever reason, classical people do not seem to have made the color distinctions we take for granted, at least in their language, though they certainly were aware of bright primary colors. Xanthos/Xanthe does not exactly refer to a color in the modern sense, but was evidently applied to people with light hair. A funny aside of this is that at one time the pure white marble of classical architecture was regarded as further proof of the purity of classical taste. Then they found out that ancient temples were actually painted in bright colors. Bernita - fun, yes, but also work! that was instantly appropriated as an iconic image by the ecology and peace movements. It was also the iconic image behind a very 1970's childrens show called "The Big Blue Marble." I am struck by how Earth is depicted in pre-1960 SF movies. It is almost always cloudless. Nyrath - yep. Before the 1960s, i.e., before we actually knew what Earth looked like, it was shown essentially like a globe, cloudless or nearly so. The fact of extensive cloud cover over the planet as a whole must have been known from the 16th century on, but the implication for Earth's appearance wasn't appreciated. Probably because our natural tendency when it is cloudy when we are is to think of all the places where it's clear, rather than vice versa. The Blue Marble is one image that does show a recognizable portion of the land surface - largely because a nice big chunk of desert happens to be on the facing side, and deserts are less cloudy than most of the planet.